Early this year we informed you of changes to Energy Performance Certificates (EPCs) that will come into affect in April 2018 (see our blog post here). If your property’s energy efficiency is below band ‘E’ then you could be left with a property that cannot be legally rented and a fine of up to £5,000! An EPC assessment can help you to avoid a costly penalty and make for happier tenants, it’s a win-win really! The EPC tells potential tenants/buyers about the property’s energy efficiency. Using a rating scale from A to G where A is very efficient to G which is inefficient. Prospective tenants/buyers can get an idea of how much it will cost to heat the property and suggested improvements too. The rating will show you your current EPC rating but your potential for a higher rating if you implement the suggested improvements. How long are Energy Performance Certificates valid for? 10 years. It must be produced prior to advertising a property for rent or sale. Made improvements to your rental property since your last EPC? If you’ve made some changes to your property that you think will impact your EPC rating then we would suggest a new EPC assessment. My rental property has an EPC Rating E or lower – what do I do? First of all, you should get an up to date EPC assessment as they are changing all the time and you may get a different rating. Sounds simple but what if your new rating is still below E? 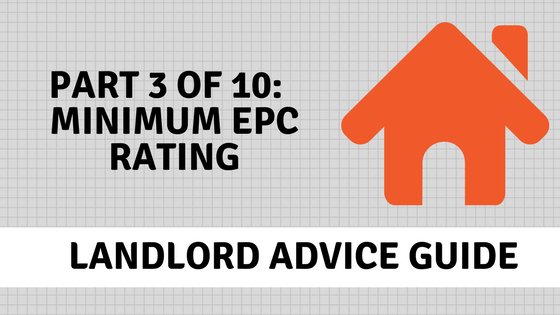 Then you will need to make some improvements, take a look at our blog post with tips for Landlords to meet the minimum EPC rating. Energy Performance Certificates list recommendations for improving your property’s energy efficiency or EPC rating, see example below. You will need to carry out changes so that your rating is above E or above. After you’ve made changes to the property, you’ll need to get another EPC to show the new EPC rating. Devaluation: the recommended improvements will reduce the value of the property by 5% or more. Consent: It is not possible to gain the consent for the works to be completed. Cost: Simply not cost-effective within a seven year payback or under the Green Deal’s Golden Rule. If you’re not sure of your EPC rating or would like more information then contact Readings, call us on 0116 222 7575.